The information contained on these websites is provided without any commitment and intended exclusively for information purposes. Of informative nature, it does not represent an offer pursuant to applicable statutory regulations. Based on the information contained on this website, no contract can be initiated with regard to the products and services introduced. The information contained on these websites as well as the products and services described in the same are subject to change or updating without prior notification by FIEGE at any moment in time. Unless expressly stated otherwise, the websites of FIEGE do not contain any warranties or details of composition for which FIEGE is liable, be it expressly or tacitly, not even with regard to currentness, accuracy, completeness and quality of the information. FIEGE does not accept liability in conjunction with her websites. Liability for any direct or indirect damage, claims for damages, consequential damage irrespective of type and legal cause which arise from the user’s access to, or use of the websites, in particular by way of infecting your computer environments with viruses, is excluded. The reasons for and observance of the obligations as well as of the liability of FIEGE with regard to her products and services are exclusively subject to the contractual agreements signed for the same, taking into account the General Terms of German Forwarding Agents (Allgemeine Deutsche Spediteurbedingungen – ADSp) of FIEGE in their respectively applicable version. When retrieving pages and files from our websites and prompted to enter details about yourself, we shall point out that such data transfer via the Internet does not constitute a safe transmission and that unauthorised parties can acquire access to or even falsify such data. Links with websites of third parties are provided as an additional service. These websites are completely independent and not subject to the control of FIEGE. FIEGE does not accept liability for the content of websites of third parties to which users gain access via Fiege websites and does not accept any responsibility as to the content, data protection regulations or the use of such websites. 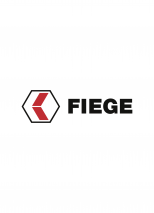 The brands and logos illustrated on these websites are the property of FIEGE or of her subsidiaries. Some websites contain logos subject to the copyright of the party providing the same. No information contained on these websites is to be construed as the granting of a license or brand. The explicit written approval of FIEGE or her subsidiaries is required in this respect. The unauthorized use of these brands is strictly prohibited. FIEGE will assert her intellectual property rights world-wide by the respectively applicable remedies. All texts, images, graphics, audio, video and animated files are subject to copy right and other laws aiming at protection of intellectual property. They must not be copied for further use, nor modified or used on other websites. Some Internet pages contain images and logos which are subject to the copyright of the party providing them. Contained data is subject to copyright law as well. Automated interrogation respectively copying of such data (especially via “Scraping”) is prohibited as well as any other commercial usage of contained data. FIEGE however, generally consents to the reproduction of the contents in the category “News & Career”. This includes in detail: Logo News, Press Service, Picture Archive, Professional Training, Vacancies/Training Scheme, Prospects and FIEGE Academy. We provide these categories for publishers, television broadcasters and comparable media for use within the framework of their reporting as well as for job applications and to enrol for seminars. © Copyright FIEGE, 2016. All rights reserved.